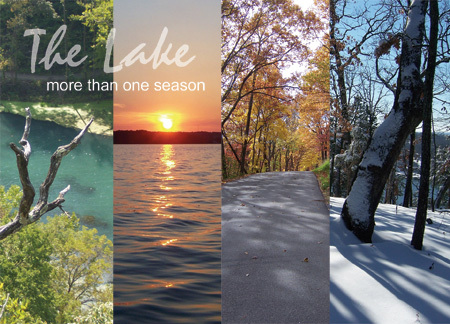 Every season is beautiful at Lake of the Ozarks! During the summer, the average day temperature is between 85 and 90 degrees. The water temperature averages in the high 70s to mid-80s. Summer is the best time for swimming and boating. It is also the time of year when the Lake is the busiest. The springtime is another beautiful season here at the Lake. The trees and flowers bloom into beautiful colors and fishing becomes more popular as some of the best bass and crappie are abundant for the anglers. In addition, a wide variety of festivals make this season very enjoyable. In the fall, the weather is still great with temperatures ranging from the high 60s to high 70s. People continue to go boating and fishing because the water temperature continues to stay comfortable. Golfing becomes popular as the drop in temperature adds a refreshing breeze to the links. During the winter, high temperatures average between the low 30s and mid-50s. The Lake area experiences some snowy weather and the temperatures may dip into the 20s. Many people who visit the area during the winter like to go shopping. 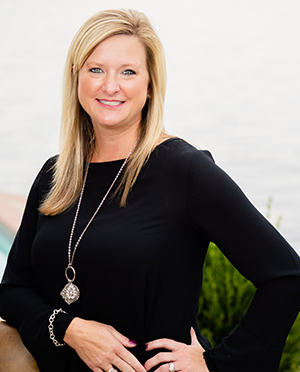 Many retailers have good bargains for shoppers during the winter!